The Western Digital Red 3.5-inch desktop hard drive offers 2TB of storage. 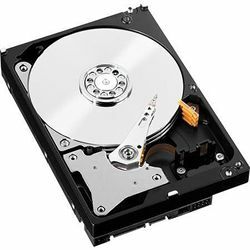 Designed for networked-attached Storage (NAS), the drive is a 3.5-inch SATA hard disk. It also features 3D Active Balance Plus to reduce frame vibration and limit the chance it will be knocked out of a RAID setup when several disks are operating at once.